Remembers your level and score if you leave the game. Tap tiles on the large playfield of tiles to change their color. 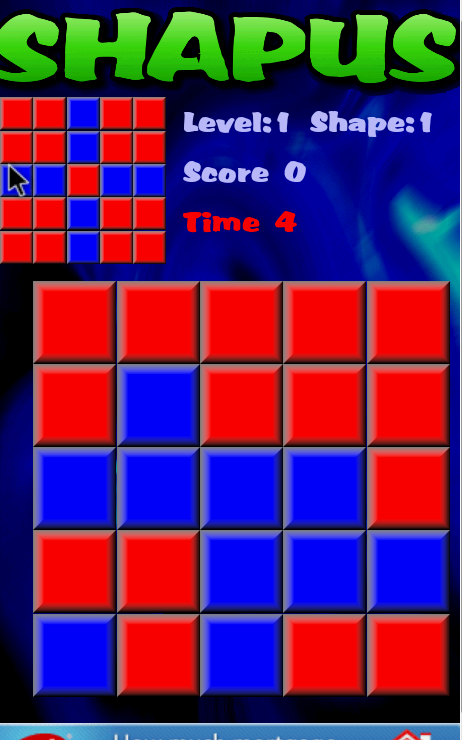 Try to make the bottom playfield match the color of the tiles at the top display. 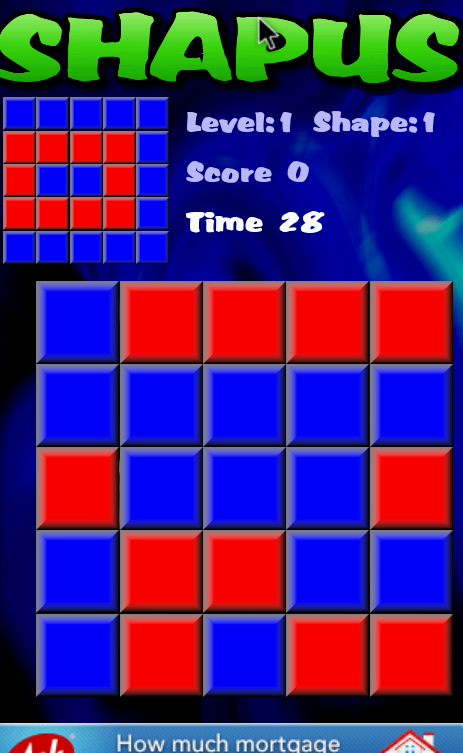 You cannot hit the same tile twice in a row. You can leave the game after a pattern is complete by tapping Quit or by pressing the BACK button anytime on your phone or tablet. You can reset the game back to the first level by tapping your phone or tablet’s MENU key and choosing “YES”.